Lake Fyans Holiday Park is centrally located between the towns of Halls Gap and Stawell, with larger regional towns such as Horsham and Ballarat only a day trip away. In our office we have Walking Maps of the Grampians for purchase and free Grampians locality maps. 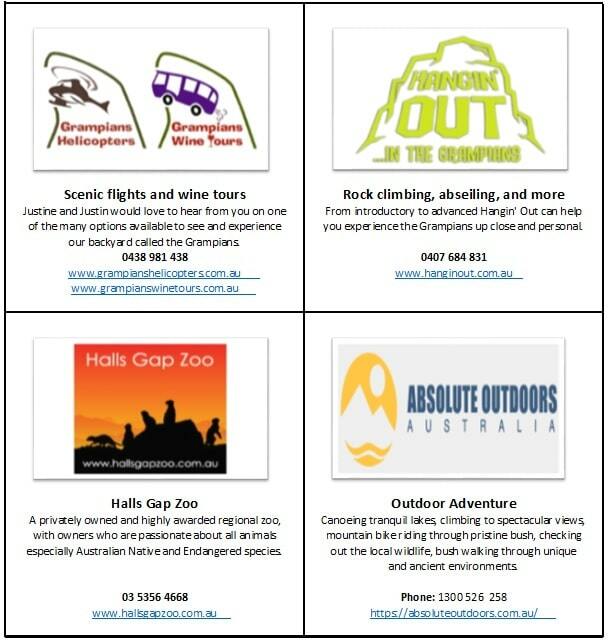 We can also provide tourist information and can book ahead for you at your next Top Parks or Discovery Parks destination.